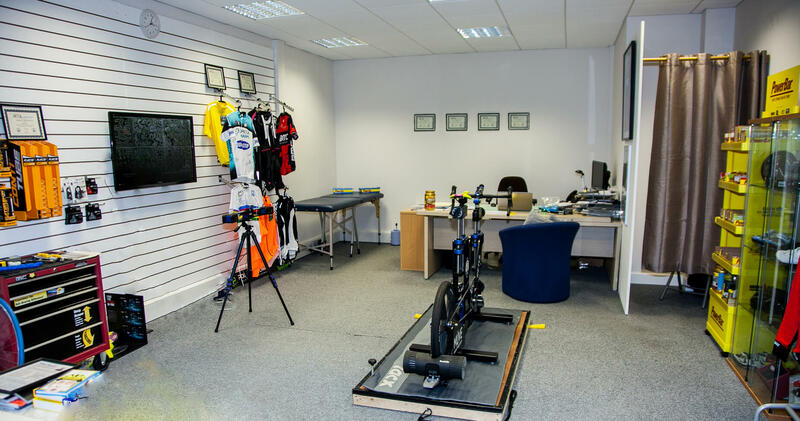 Bike Fit Studio is a technology focused bike fitting service in Dublin, provided by fitters with over 60 years of experience. We use Retül Bike Fit Technology. A 3D motion data capture system developed on years of research and testing, to simultaneously measure multiple body movements, and find the ideal bike fit for you. The only Level 3 Advanced Retül Bike Fitters in Ireland. We use our unmatched multi-discipline experience, with precision data capture technology, for an individually optimised bike fit. With a deep understanding in the various goals of every cyclist — we give you a bike fit that is built specifically for you. This allows us to optimise your bike fit, and achieve your goal as a cyclist in your discipline. We use Retül Bike Fitting Technology, which employs a cycling specific 3D motion capture system to read individual rider’s movements while you are cycling in real simulated conditions by power loading. By applying infra-red markers to your body, we not only analyse how you move vertically, but also how you move laterally. This allows us to establish how vertical position changes are affecting lateral movement too, and vice versa. This bike fit takes into account your physiological capabilities, cycling objective, sport category, and highly accurate fit data to guide your bike fit changes and define a bike fit & position that maximizes your potential. Since starting in Dublin in 2013, Bike Fit Studio has carried out over 1,100 bike fits with cyclists from all over Ireland. These have been bike fits for racing cyclists, sportive riders, triathletes, mountain bikers, track cyclists, and TT specialists. This broad experience, along with being the only Level 3 Advanced Retül Bike Fitters in Ireland is why we are the official bike fit partner to Cycling Ireland, the national cycling federation. This gives members €50 off bike fitting too! We understand the needs of each cyclist as an individual, and use this along with our advanced Retül technology to consult with you to give you a bike fit that maximises your comfort, reduces pain, and improves performance.